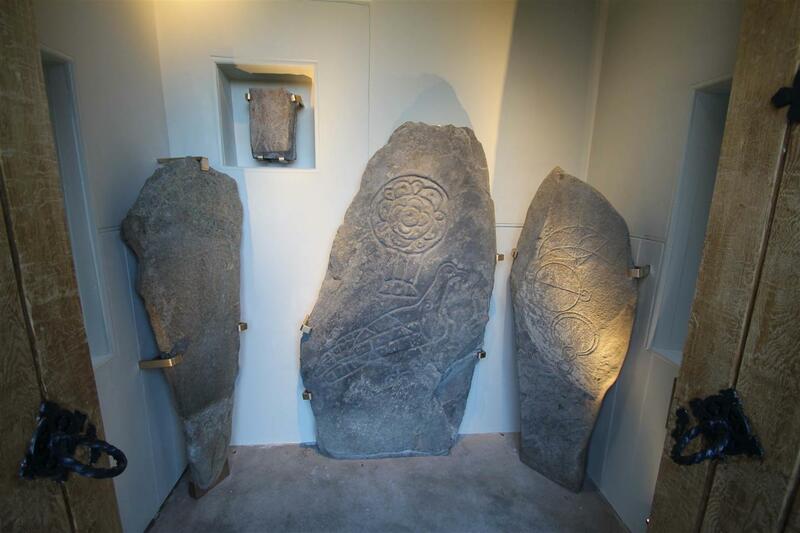 Inveravon Church, Ballindalloch, has four Class I Incised Pictish Symbol stones; dating from around the 6th Century AD. 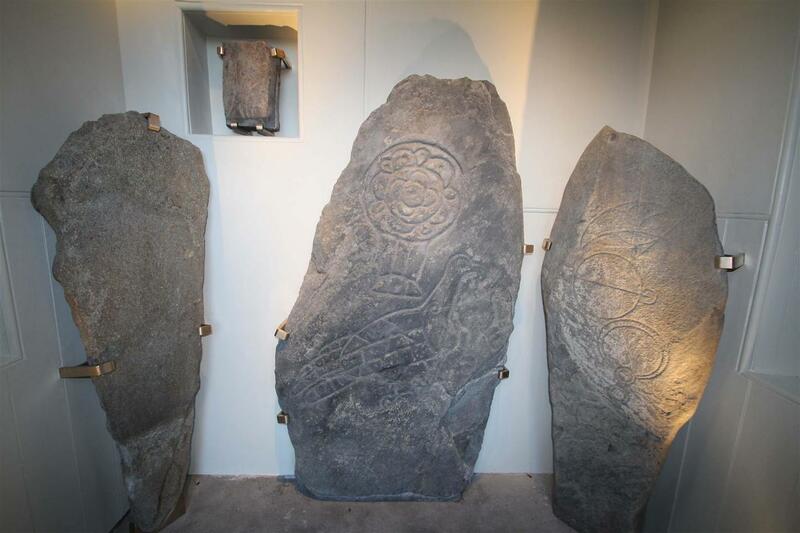 The stones depict representations of the ‘Pictish Beast,’ the most iconic of all the Pictish Symbols. Set into the south wall of the church, the stones were exposed to the problematic freeze-thaw cycle of the Highland site. The mounting of the stones was also causing damp ingress through the wall of the church. The stones were conserved and carefully removed from the wall. Now relocated in the stable environment of the North porch, they are complemented by the installation of interpretation panels.